The market-share demographics for these cookies ought to be interesting. 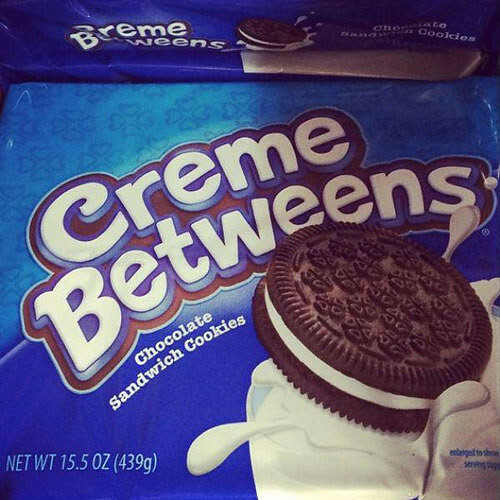 I am absolutely in favor of any Oreo knock-offs. I refuse to pay more for my lard & sugar in order to support an advertising budget. I agree with M.Bouffant. What ever happened to Hydrox? They were a good reasonable facimile. Hydrox is back, as of 2015 – get them online or find a grocery that will carry them. Hydrox was the original. I’m guessing they didn’t sugar their lard enough .